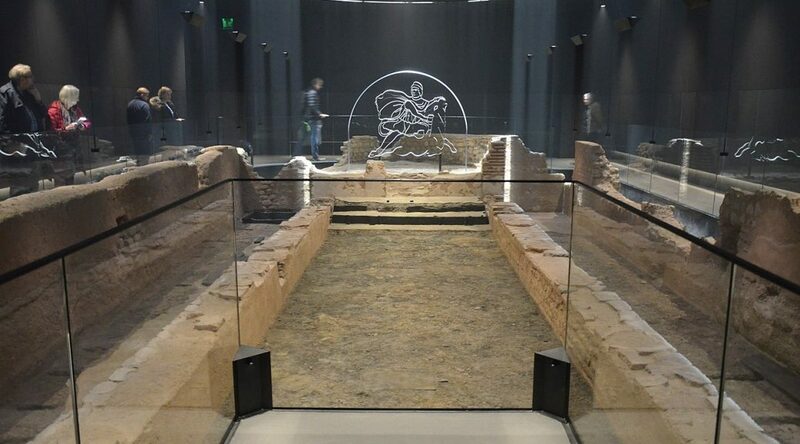 In 1954, the discovery of a well-preserved Roman temple dedicated to the god Mithras, on a London building site, provoked a national debate about whether it was right for archaeological remains to be sacrificed for development. Following a public outcry, the site owners agreed to dismantle the remains of the temple and reconstruct them on a site nearby. Recently, rede- velopment by new owners Bloomberg provided an opportunity to return the temple to the site of its discovery, as part of an innovative new public dis- play. Louise will talk about the MOLA’s (Museum of London Archaeology) work with Bloomberg and the team of exhibition designers, architects, engineers, stonema- sons and artists who have brought the site’s fascinating past to life. Free parking at the adjacent car park after 7.00p.m.